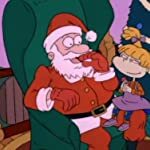 Which of these most popular Christmas TV episodes is your favorite? 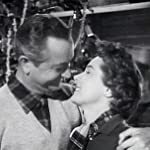 The Christmas Story (1954) - The family heads out to cut down their own tree, gets stuck in a snow drift, finds a mountain cabin to shelter in and meets a mysterious bearded man named Nick. 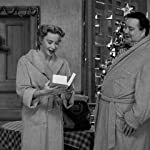 'Twas the Night Before Christmas (1955) - In a modern-day version Gift of the Magi, Ralph has to sell his new bowling ball to buy a special gift for Alice. A Vision of Sugar Plums (1964) - When the orphan they took in for Christmas doesn't believe in the magic of the season, Samantha's solution is to zap everyone to the North Pole. 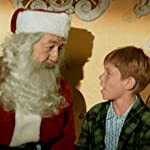 Christmas and the Hard-Luck Kid II (1970) - When Mary has to work on both Christmas Eve and Day, she finds a friend over the air in a remote transmitter operator named Charlie. 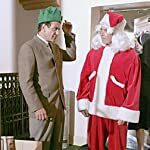 Christmas Day at the Bunkers' (1971) - Archie can't bring himself to tell the family he didn't get a Christmas bonus this year and the Jeffersons, with Henry (yes, George was originally named Henry) in a Santa suit, don't help his mood. 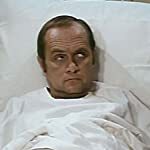 Bob Has to Have His Tonsils Out, So He Spends Christmas Eve in (1975) - Bob is hospitalized, embarrassed by getting his tonsils out at his age, and his nurse is a former patient. 984 W. 124th Street, Apt. 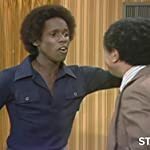 5C (1977) - George won't explain to Louise why he's been paying rent and sending Christmas presents to an address in Harlem for years. 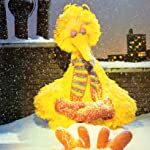 Christmas Eve on Sesame Street (1978) - Among other difficulties the citizens of Sesame Street experience, Big Bird is concerned when Oscar points out that Santa can't possibly fit down the street's narrow chimneys. 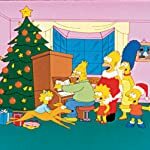 Simpsons Roasting on an Open Fire (1989) - Christmas is looking bleak with no funds for gifts but Homer inadvertently saves the day by going to the dog track. 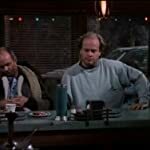 Miracle on Third or Fourth Street (1993) - After spending a horrible Christmas on the air, Frasier is mistaken for homeless and treated to a meal by people far more misfortunate than him. 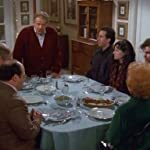 'Twas the Night Before Christening (1993) - Will feels inadequate as he sees the over-the-top gifts the family has bought for Nicky's Christening, so he promises he will get Boyz II Men to sing at the ceremony. White Trash Christmas (1993) - After receiving a letter from the neighborhood association about tasteful holiday decorations, Dan and Roseanne set out to create the biggest eyesore in Illinois. 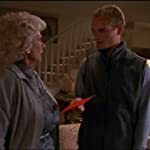 So Called Angels (1994) - Angela tries to figure out how to help Rickie after he is kicked out of his abusive uncle's house and she gets guidance from a mysterious homeless girl. 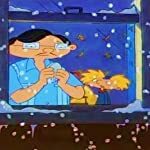 Arnold's Christmas (1996) - When Arnold draws Mr. Hyunh in the boarding house Secret Santa he finds out Mr. Hyunh had a daughter he gave to a US soldier during the war and tries to find her for him. 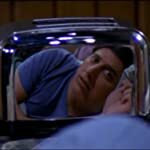 The Toaster (1998) - Ray's parents trade in the personalized toaster he gave them without even opening it, then spend the rest of the episode trying to get it back. 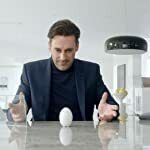 Pretty, Pretty Dresses (1998) - Depressed Bill becomes suicidal as the anniversary of his wife leaving him approaches and after a complete mental break, he begins to wear her clothes and impersonate her. 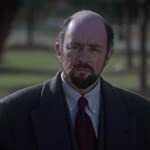 In Excelsis Deo (1999) - The President has a hard time transitioning from holiday celebrations to international crises and back, and when a homeless veteran dies wearing a coat Toby donated he becomes obsessed with making sure the man gets a proper burial. 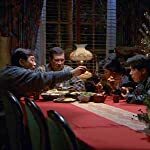 Christmas (2001) - Lois "holds Christmas hostage" by locking everything away in the garage and Francis goes to spend Christmas with his horrible grandmother Ida. 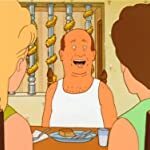 Afternoon Delight (2004) - Just a sampling of a Bluth family Christmas - multiple family members performing "Afternoon Delight" together, pot brownies, Buster trying to get out of the military and Lucille and Oscar getting it on. 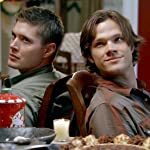 A Very Supernatural Christmas (2007) - Sam and Dean's search for a missing man leads to centuries-old pagan gods who take human sacrifices and, in flashback, we see a typically unspectacular Winchester Christmas from long ago. 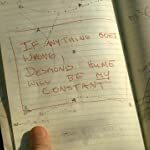 A Very Sunny Christmas (2009) - Long-held secrets are revealed when Dennis and Dee find out that every year Frank bought their dream gifts, then kept them for himself, Mac's family broke into other people's home to steal their presents and Charlie remembers that he only got presents because his mom brought home a series of "Santas" each year. A Very Glee Christmas (2010) - Artie finds out Brittany still believes in Santa so he enlists the club to help continue the ruse, until Brit tells Santa all she wants for Christmas is for Artie to be able to walk again. 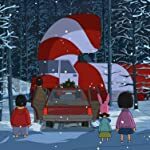 Christmas in the Car (2013) - On their way to buy a third Christmas tree, the family is threatened when a semi-truck painted like a candy cane tries to force them off the road, and the kids catch someone in the trap they left for Santa Claus. Twas the Night Before Christmas... Or Twas It? (2013) - After waking to terrible hangovers and a wrecked house, Pete and his (ex-) wives try to recollect their Christmas Eve, which included a group performance of the Ace of Base song, "The Sign." 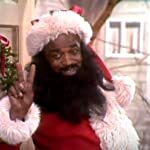 Christmas Story (1976) - Fish dresses as a street corner Santa to catch a thief and Nick makes a midnight date with a beautiful mugging victim, not realizing she's also a prostitute. 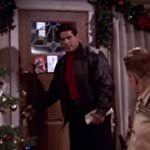 Better Camera (2000) - Lou Ferrigno moves next door and Arthur tries to get him to produce his screenplay, and Doug buys Carrie a camera, only to find out her boss gave her a much better one.